Ashland Gallery Association Archives - Art Matters! Please scroll down for “Spotlight Exhibits” and see attached March Gallery Tour Map and images. March First Friday will celebrate student art during the AGA Annual Student Art Show! Alongside art by local, regional and national artists, galleries and businesses will feature works by budding young student artists from the Ashland High School Art Department. Join us for the Student Artist Receptions during the Friday Art Walk on March 1st from 5 to 8 PM. Student artists will be present to discuss their works. There will be a variety of media on display by these creative young artists including: paintings, drawings, and mixed media. Most exhibits will be on display throughout the month of March. For our March show, we have new pieces by our member artists to celebrate the coming of spring after all of our recent snow. For the First Friday Art Walk, we’re also proud to feature three Ashland High School artists as a part of the annual AGA Student Art Show. Meredith Granger, Claren Shields, and Sierrah Kelly will be featured for the month of March. Meredith Granger’s work is colorful and bold, utilizing pens, markers, and oils. Claren Shields traditionally utilizes pen and pencil, but has recently become passionate about exploring the use of Copic markers, acrylic paints, and charcoal. Sierrah Kelly mixes bright colors with subtle backgrounds to highlight her images. Each artist will be present on March 1st to meet you and to share their work. Julia Petrone “I think what connects my art together is the theme, I draw a lot of women, whether they’re fairies or from another era. It tends to have that common theme. For mediums, I use a lot of different kinds.” Julia is moving from digital expression to physical mediums. These students are exhibiting works in a variety of media, styles and genres. Please join us in supporting these emerging artists and meeting our new owner, Peter Alexander Stone! Friday, March 1st the Ashland Art Center will be launching our new campaign “Plant an artist, watch them grow.” The main gallery will have a designated space for children and young adults to exhibit and sell their artwork among our other showcasing artists. The evening of Friday, March 1st from 5-7 p.m. visual and culinary artists from both Ashland Middle School and High School will be displaying and serving in the gallery and classroom. We invite the community to come out and support our budding young artists. Our Community’s youth is our future, come and add your support! Early Bird discount for Individual Artist Memberships Available Until November 15th! We would like to extend to you an invitation to join the Ashland Gallery Association as an individual Artist Member. All visual artists in Ashland and surrounding communities are encouraged to join and become active participants in Southern Oregon’s art community. · Eligibility to participate in the special “Pop-up” Gallery at A Taste of Ashland held in April; provides exposure and sales opportunities in this popular annual event. · Eligibility to participate in the annual October event; Ashland Open Studio Tour, within the geographical boundaries of the event. We will once again be writing a feature story on three AGA artist members in the Gallery Guide. Artists who send in the attached contract and fee prior to November 15th will be eligible for selection for this article. This will be a random drawing out of a hat. We hope you will join us in our mission to promote the visual arts in southern Oregon! The Ashland Gallery Association is seeking artwork for its 2019 A TASTE OF ASHLAND event. Local artists are encouraged to submit images of their work. AGA Gallery, Associate, and Neighboring Arts Organization members may also submit images for artists they represent. The winner will be publicized in the Ashland Gallery Guide, the ‘Taste’ Event Guide, on the AGA website, and on ‘Taste’ promotional materials including the poster, postcard, and social media. The Ashland Gallery Guide is distributed to about10,000 patrons of the arts each year. The Event Guide is distributed to about 2,500. Submission deadline: December 5, 2018. The poster art will be selected at the December 11, 2018 AGA Membership meeting at Ashland Art Center. The meeting will begin at 6:30 and members will vote on the submissions. Winners will be notified shortly after this meeting. Important: The ATOA committee is seeking strong, colorful and broadly appealing images – ones that convey a feeling of joy and fun with friends, and the feeling of “Come to Ashland for great food, wine and art”. The submissions don’t have to be literal depictions of food and wine, although they can! See HYPERLINK “http://www.atasteofashland.com” to view last year’s image. One image may be submitted per artist. Submissions must be medium-to-high resolution, and must include the artist’s name, phone number, mailing address, and email address. Images should be in color and no more than 10MB in size (anything larger will be rejected by the mail server). Artwork may be existing or created specifically for the “Taste”. Any art medium that can be photographed and printed is eligible. The winning artist will be responsible for providing a high-quality image for the printer. Any artist who has already been honored becomes eligible to submit again after an interval of five years. The winning poster artist grants the AGA the right to reproduce his/her artwork for the poster and for publicity of A Taste of Ashland. All proceeds from the promotional use of the image will benefit A Taste of Ashland. The Artist will be credited, where possible, on promotional materials using his/her image. Thanks so much for submitting your work. A Taste of Ashland is the AGA’s annual fundraising effort and a themed image is important for marketing the event. Stroll the galleries downtown & the Historic Railroad District. artist demonstrations, live music, refreshments and lively conversation! Pick up a Gallery Tour Map at any member gallery or download the October Art Walk map off our website. Riding Beyond is a non-profit organiza­tion that opens doors to the future for breast cancer survi­vors through in-depth experiences in the horse/human connection. In support of October Breast Cancer Awareness Month, local businesses will participate in this fundraiser by providing gifts for a raffle on First Friday and cash donation jars throughout October. Ashland Art Center will host a collage making event: Horses and the HumanHeart, conducted by Riding Beyond participants and volunteers during October First Friday Art Walk. Find out how horses provide life-changing benefits for the many after-effects of breast cancer treatment, often lingering for years. Hear stories from participants of their enthusiasm for the “miracles” that unfold for them. See videos of interactions with the horses. Create your own collage to take home the power of the horse to benefit your own life. Find more information at ridingbeyond.org. This event is part of Riding Beyond’s city-wide public awareness campaign on October First Friday: Healing HeArts. Coming October 13th & 14th! The Ashland Gallery Association sponsors the Ashland Open Studio Tour on the weekend of October 13th and 14th from 11-5 PM. The public is invited to tour the private studios of visual artists in our region, including Ashland, Phoenix and Talent. On this Studio Tour you will find exceptional artwork and are invited to see working studios and artworks in progress. This is a great chance to engage with the artists and ask questions about their work and individual creative processes. Demonstrations are scheduled throughout the two-day tour. Visit www.ashlandost.com for more information and a map of the participating studios. During the months of October and November, Debby Fisher’s work will be featured in the Salon and Millie Clarke will be the featured artist on the feature wall at Art du Jour Gallery, 213 E. Main in Medford. On Third Friday 9/21 music will be provided by the Minstrel Streams, 5-8 pm. 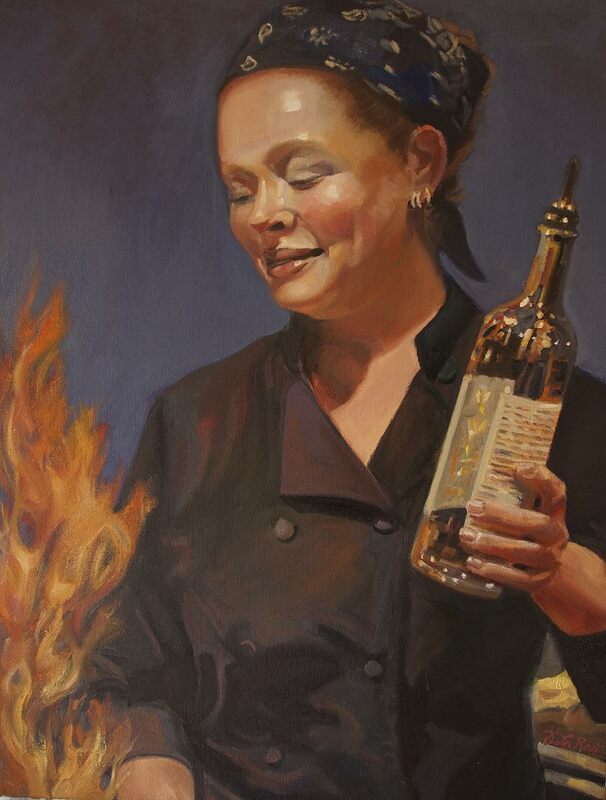 Debby Fisher received her art education from many venues majoring in art education at Indiana University of Pennsylvania, studying drawing at Virginia Commonwealth University, and a plethora of workshops along life’s journey. In the mid 90’s, after settling in Oregon with her family, Debby studied commercial art with Semyon Bilmes, who now leads Atelier Maui. 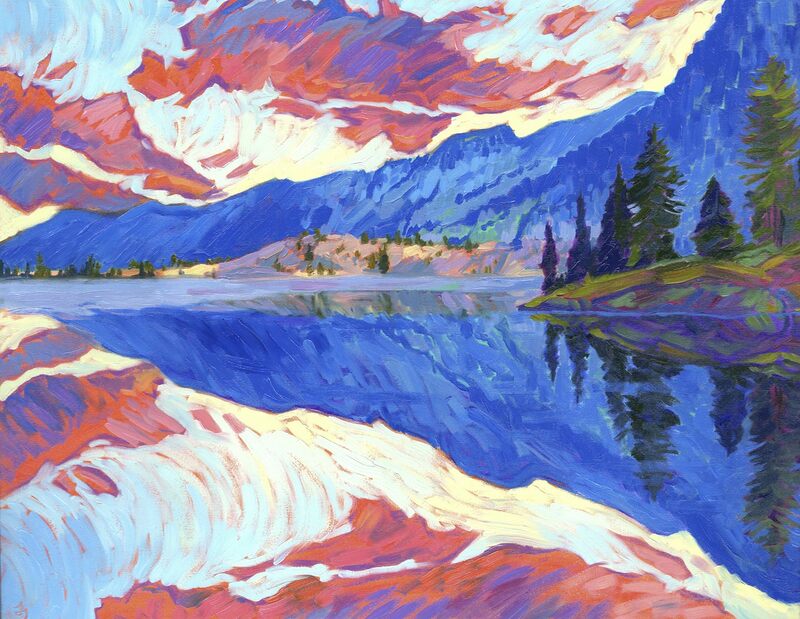 After a time in the illustration business, she was drawn back to oil painting through the work of great artists, such as Michael Dudash and Chris Hopkins, who she had the privilege of connecting with and learning from through the Masterpiece Christian Artists Conferences. Now doing commissioned pieces and gallery paintings that reflect the beauty God surrounds us with every day, her work is in many private collections across the country. The Ashland Gallery Association is a non-profit organization dedicated to the promotion of the visual arts in our communities.